The Quality Hotel Grand is a conference hotel in central Kristiansund. The bright meeting rooms and proximity to the city centre make the hotel a popular choice for conferences. It's also a great destination for weekend getaways! This is cash-free hotel. 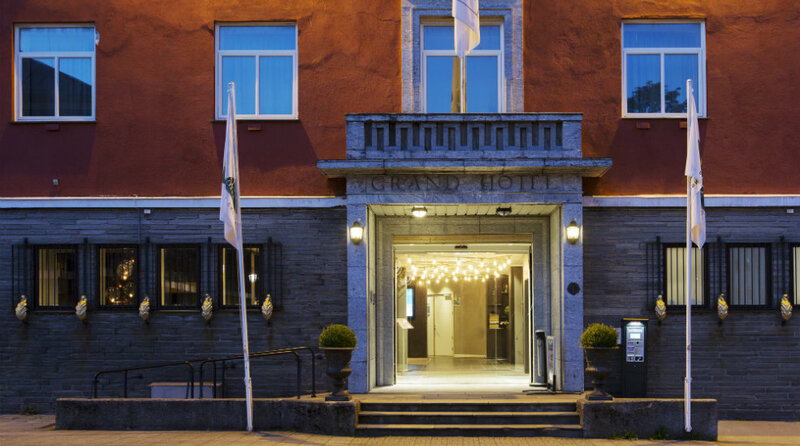 Quality Hotel Grand is located in the heart of Kristiansund, close to public transport, restaurants, shopping and the city's cultural attractions. You're also close to the bus terminal, the express boat to Trondheim and just seven kilometres from the Kristiansund Airport, Kvernberget. Kristiansund is spread over four islands in the Atlantic and is the biggest city in the region. There's a lot to do here, and the city is ideal for an active holiday. How about deep sea fishing, sea kayaking among the islands and islets, a killer whale safari or mountain hiking? The area is also known for its Stone Age relics. There are many different museums, craft shops and galleries in central Kristiansund, and the hotel is within walking distance of the main shopping street. Quality Hotel Grand Kristiansund is cash-free, which ensures added security for our guests and visitors. More information about this can be found under FAQs. Quality Hotel Grand in Kristiansund offers several conference rooms at the hotel. Grab your chance to eat as much popcorn and ice cream as you like during the breaks! If you need a larger meeting room, we are able to hire the Caroline Cinema and conference centre right opposite the hotel. In the "Bar å sånn" bar, we serve delicious food and drinks every day, as well as our à la carte menu from 5pm – 10.30pm. We have after-work drinks in the bar every Thursday at greatly reduced prices. Our goal is to make the best drinks in town – come and try them! Bus to Kongens plass bus stop. Airport bus to Kongens plass bus stop. We recommend Kristiansund Taxi, telephone +47 71 67 22 22.